John W. Runyon family, c.1900. Mr. Runyon, shown at back left, was a storekeeper and timberboss in Hart during the late 1880s. His wife, the former Mary M. Williamson, is shown at back right. Their daughters are also shown (l-r): Aquillia and Wealthy. 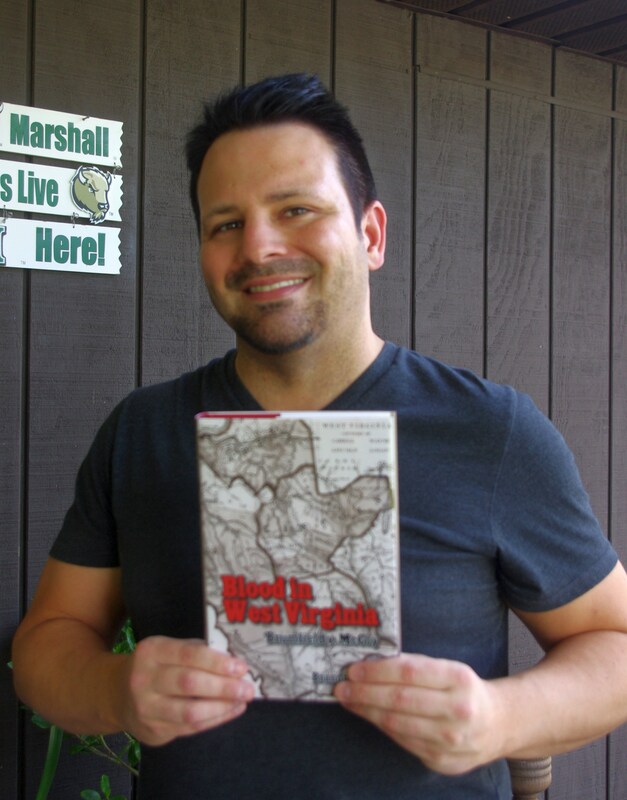 A month or so after “striking out” on the Ed Haley house, Brandon and Billy drove to Inez, Kentucky, and searched for more information about John Runyon. Venturing north of the county seat, they met Leonard Porter, who lived in a little settlement called Tomahawk. 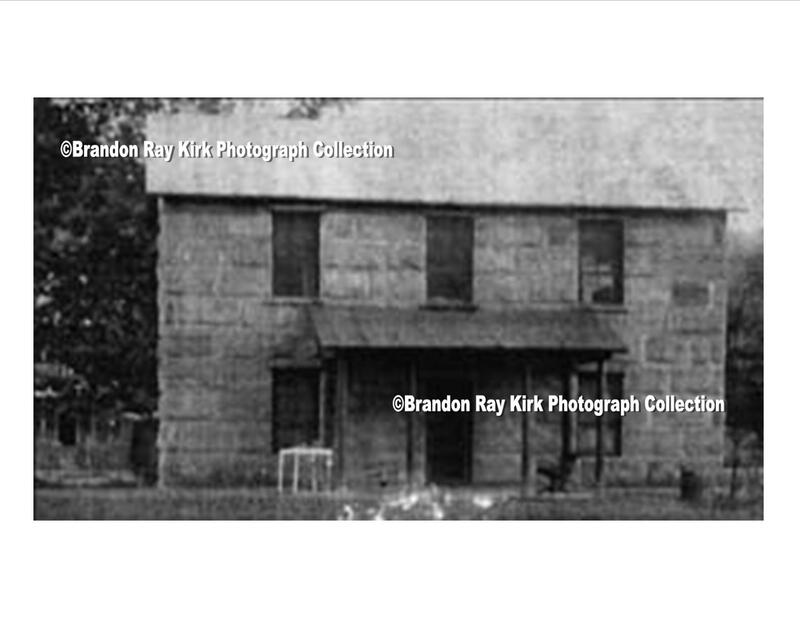 Porter remembered Mrs. Runyon staying with Mary Fields in a small house at the mouth of nearby Hall Branch and said she was likely buried in the Fields family cemetery on a point at nearby Hall Branch Road. Billy and Brandon headed up there, where they found the grave of Bill Fields (1882-1948) and Mary Fields (1888-1985), but none of John Runyon’s family. Just down the hill from the cemetery (presently a trailer court) was the old homestead of Mr. and Mrs. Fields. At one time, they later discovered, the Fieldses ran a store beside of their home. Across the road was the location of the former Mary United Baptist Church — named for Mary Runyon or Mary Fields – now converted into a house. As they stood on the hill, Billy reminded Brandon that Bill Duty’s mother-in-law was a Fields prior to her marriage. They next tried to find the location of John Runyon’s homeplace. According to the Williamson family history, Runyon lived at the “old Stidham post office,” which they figured was located on Rockhouse Fork. Unfortunately, they found no sign of “Stidham” up the many branches of Rockhouse. There were no mailboxes labeled “RUNYON” or any signs to help them along. Many of the names of local hollows had changed since the time of the old deeds. Feeling a little desperate, they pulled into a driveway with a mailbox labeled “HINKLE” and spoke with a very nice middle-aged man who told them the exact location of the old Stidham Post Office — actually, all three of them. The first location ran by Joe Fannin was situated at the mouth of Spence Branch near Milo. Around 1935, the office was relocated to a site on what is now called Hinkle Valley Road, just across the creek from a sign reading “Left Fork.” The final Stidham Post Office was in what is today James Webb’s Music Store. Upon viewing the sites, Billy deduced that the old Runyon homeplace had been near the second post office. While in that vicinity, they talked with an elderly man named Walt Mollett who confirmed that John Runyon had been a local resident. He said Runyon was probably buried down the road in a cemetery on Graveyard Point at Stidham, basically the junction of Route 1884 and Route 40. A few minutes later they were at the cemetery, parking beside the road in a treacherous curve and tromping through a forest of damp growth. At the center of the cemetery was a single, ancient pine tree. Near the pine, Brandon spotted the grave of Runyon’s daughter, Wealthy Fry. Just below her was Aquillia Porter. And below her was a grave with a new tombstone written as “Mary M. Runyons” and dated “January 28, 1861-January 29, 1958.” Beside of Wealthy Fry’s final resting place was an older stone originally created for “Mary Runyon” dated “January 28, 1861-January 29, 1956.” There were plenty of Williamsons in the cemetery — all relation to Mrs. Runyon — including Sam Porter’s second wife — but absolutely no sign of John Runyon’s grave. 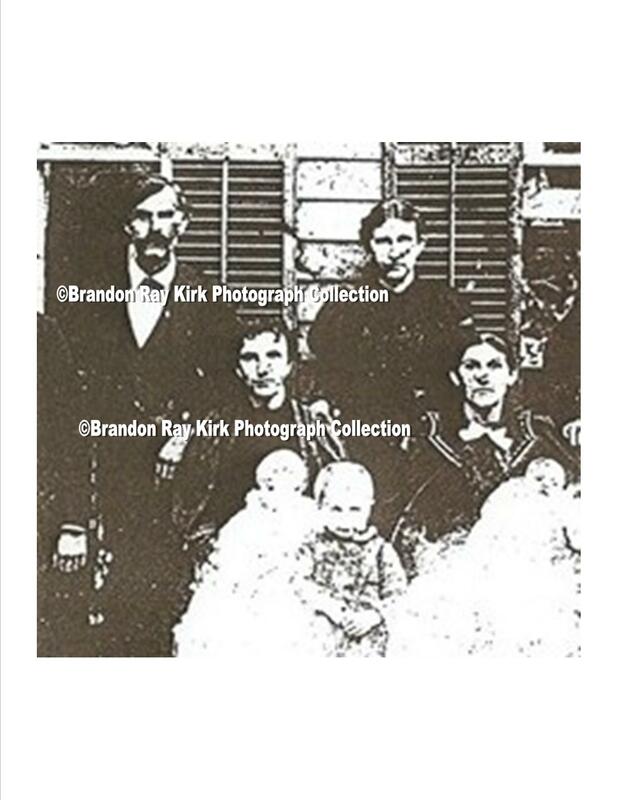 Jim Webb, a gentle middle-aged musician and proprietor of Webb’s Music Store, told Brandon and Billy that someone had wrecked in the cemetery a few years earlier and destroyed many of the tombstones. Equally tragic, the wrecker that removed the vehicle from the cemetery had caused more damage to the stones. The community had organized a fund to restore the graves, Webb said, but it was little consolation. Brandon theorized that John was buried beside of Wealthy — that someone had used Mary’s old tombstone to “sort of” mark the spot. He didn’t rule out, though, that Runyon had been buried with his parents on nearby Nat’s Creek in Lawrence County. (The Graveyard Point cemetery was more oriented toward his wife’s family, the Williamsons.) A quick drive to Nat’s Creek, including a tour of the “town” of Peach Orchard (a virtually abandoned coal town once prominent in business affairs and the site of a General Garfield Civil War story), failed to produce any signs of a Runyon cemetery, although it did offer some of the most serene, peaceful, spooky and haunting countryside found in the locale. Brandon felt a real frustration in not being able to positively find Runyon’s grave and thus achieve some sense of closure on that facet of the story. It was as if he and Billy, whose ancestors had supposedly spent years looking for Runyon, had also been evaded by ole John — even in his death. The John W. Runyon family seems to have headed further south to try their luck elsewhere. In February 1902, Mary Runyon, her recently remarried daughter, Wealthy (Runyon) Hinkle-Fry, and her former son-in-law Clarence Hinkle were listed in Martin County deed records as residents of Buchanan County, Virginia. John Runyon, meanwhile, soon gave up on his case in Wyoming County. A court entry dated April 2, 1902 and titled “John W. Runyon vs. Buskirk and Wittenberg” mentions how he “failed to give bond for costs as required in an order entered at a former term of the Court.” The Court ruled that “the defendants recover of the plaintiff their costs in their behalf expended in their defense herein including an attorneys fee of $10.00.” Included in this record was a list of thirty-four “Petit Jurors” who were, for some reason, to be paid “out of the County Treasury to wit” for their services in this case, some of them serving as many as nine days and being paid as much as eighteen dollars. It wasn’t clear why jurors served up to nine days, as records indicate that the court dismissed Runyon’s case before it went to trial. After a short stay in Virginia, the Runyon family returned to Martin County and settled near the old Stidham Post Office on Rockcastle Creek, several miles north of the countyseat of Inez. On June 25, 1903, Wealthy Fry died at the age of 22 years old. 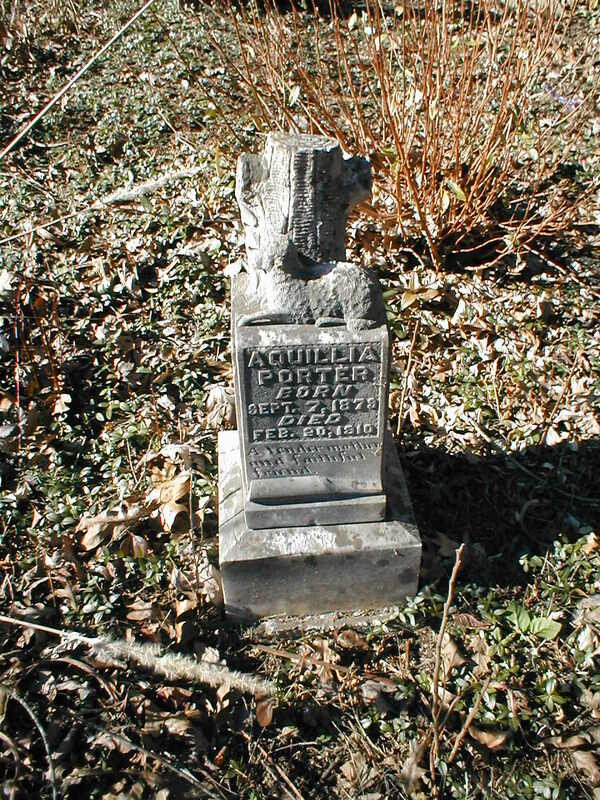 Aquillia Porter died on February 20, 1910. A few months later (April 20) her husband remarried to Maude Williamson. Both of the Runyon girls were buried in the Williamson family cemetery at Stidham. Runyon’s legal problems, meanwhile, continued in Martin County as late as the 1910s. On the bright side, John and Mary Runyon Fork purchased many acres of land around Rockhouse between 1893-1917 and sold at least 1,001 acres in that same vicinity between 1904-1932. Most of it went to their family: Sam Porter got 100 acres in 1910, 50 acres in 1917 and 35 acres in 1925. Various members of the Williamson family also bought tracts from John and Mary Runyon. In 1920, John W. Runyon was listed in the Martin County Census as a resident of the Stafford Fork Precinct. He was a 65-year-old general laborer. His wife Mary was 55 years old. Asa G. Williamson, age 52, brother-in-law, was also in the household. 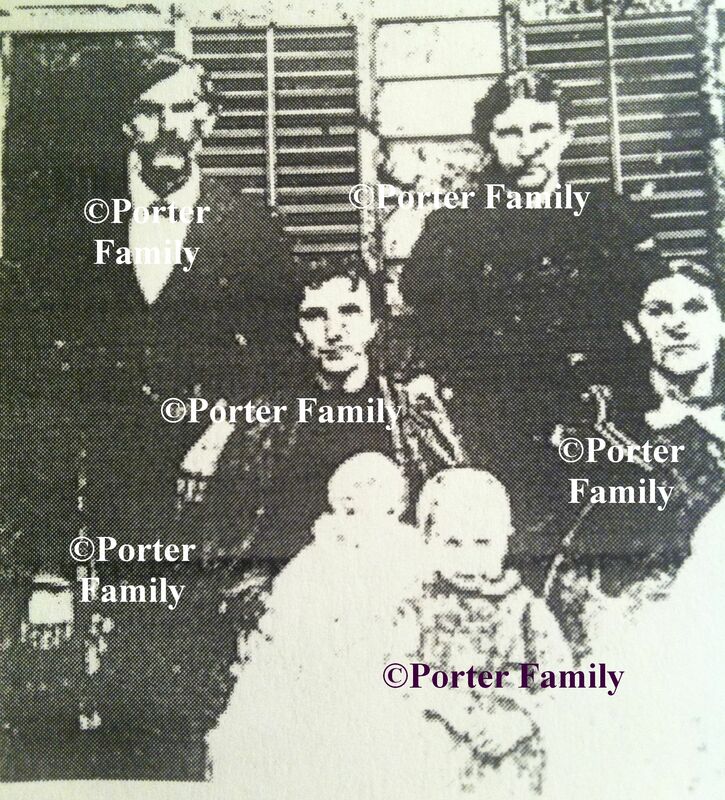 Next door was the family of grandson John W. Porter, a 23-year-old farmer, with wife Etta M. (age 23). There were two children listed: Analena, age three; and Virginia Lee, age one. Aubrey Lee Porter, 22-year-old brother to John, who was also present in the home and employed as a coal miner. John Runyon died on January 12, 1925 in Martin County. His widow spent her final years under the care of his niece, Mary (Runyon) Fields, who had been listed with the family in the 1900 Wyoming County Census. Mary was a daughter of John’s twin brother. She married Bill Fields and participated in much of the “family business” (marriage records, land transactions). Mary Runyon was still alive in 1952, when the Runyon genealogy book was assembled and was a source on the Adam Runyon family line. Mr. Porter said the Runyon place sat just above the old Stidham Post Office at Graveyard Point and told all about the Runyon descendants. He said Aubrey Porter married a Williams and raised a family of three children (including one son named Jimmy) in Columbus, Ohio. 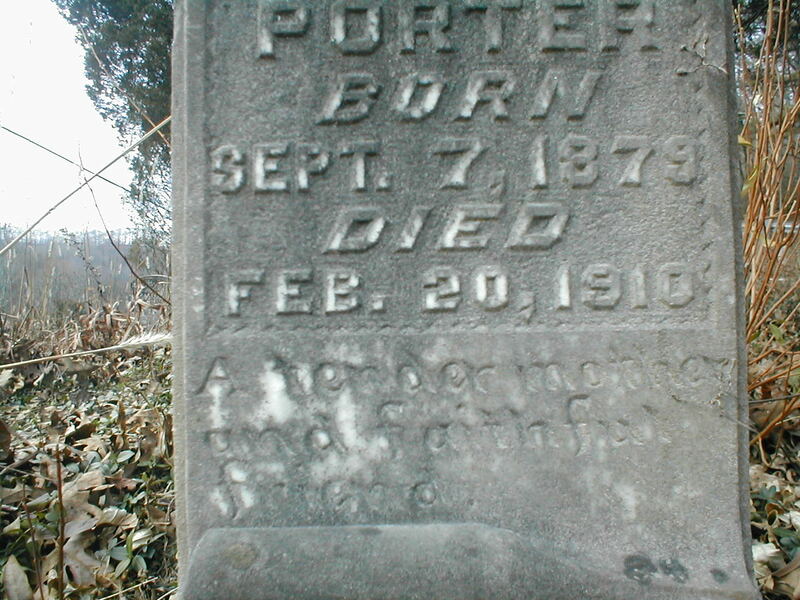 John W. Porter had two children — Merrill and John, Jr — and lived in Norfolk, Virginia. Hattie (Hinkle) Apney had two daughters: one named Guiniford, who married Russell Goble (an active member of the Inez School Board for years), and Jean, who married Virgil Ramey. Mr. Porter thought Hattie divorced her husband and moved to Point Pleasant, West Virginia, where she died.